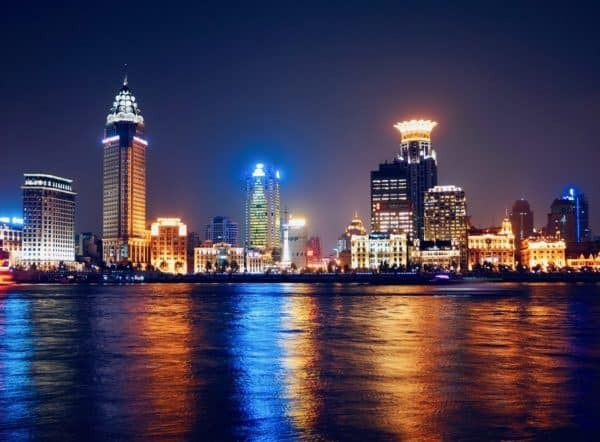 This is the second year that I travelled to China for the LangDi FinTech Conference in Shanghai. What a difference a year makes? Last year, the conference had a massive showing of over 1,300 attendees. This year, the conference nearly doubled to 2,400 attendees. There was hardly any place to stand when Soul Htite of DianRong and Renaud Laplache of Upgrade took the main stage to talk about Fintech entrepreneurship. 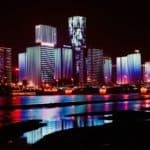 Between the whispers of live interpreters and the sounds made by steno machines, the Pudong Kerry Hotel was filled with Fintech platforms, investors, and enthusiasts from all around the world. There were many familiar faces at the show. We greeted each other warmly like college buddies that you haven’t seen in years. The sense of belonging and the amount of camaraderie filled the exhibit hall. 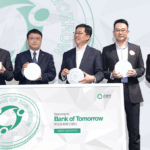 Executives from 9F Bank, Mint Quantum, Huaxia Finance all made a showing and participated on various panels. If there’s one thing that’s clear, Fintech investors are back! 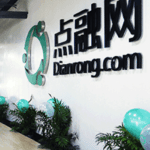 Most of the executives from US had face to face meetings with Chinese private equity and venture capitalists. The LendIt staff did an amazing job matching everyone up by their sector and funding stage. We will hear more about these potential partnerships in months to come. Gopher Asset Management had investment associates in just about every session at the conference looking for the next investment opportunity. 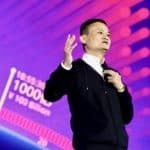 Gopher is a subsidiary of Noah Holding Limited (NOAH:NYSE), one of the biggest wealth management companies in China with a current market cap of USD $1.7 billion. The folks at Gopher are courteous and professional. Most of their staff is actually located in the San Francisco Bay Area. 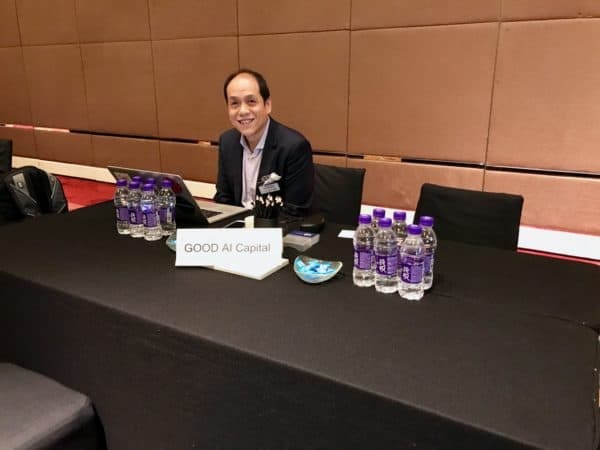 Galaxy Internet, another Chinese venture capital firm is actively seeking investment opportunities in the area of finance, ecommerce, payments and big data. Anyone looking for a team of experts in Fintech should take a look at these guys. You can submit your business plan right on their website. RIC-Capital. 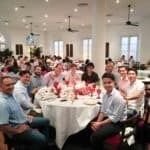 Our team met face to face with RIC’s investment managers. They are very interested in e-commerce and social-shopping networks. They are actively looking for investment opportunities in early stage startups that bridge overseas activities. If you’re ever find yourself in Shanghai, China. Stop by their office, it’s pretty awesome. The investor meeting rooms were buzzing with exchange of ideas and even term discussions. 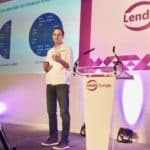 It was great to see Renaud Laplanche (ex-CEO of LendingClub and co-Founder of Upgrade) in the same room as I was pitching to investors! He was every bit as animated as I was. It was awesome. The first person I met on the trip was Darwin Ling, founder of Good AI Capital. The name of the company speaks for itself. I got to know Darwin and he’s got an incredible story. 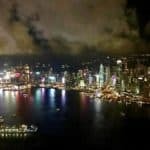 Self-made and well connected in Hong Kong, his company is based in San Francisco Bay Area and if you are looking for someone that’s willing to give you some sound advice on startups, call Darwin. You won’t be disappointed. Most importantly, if you want to invest in Artificial Intelligence, Darwin would be a clear choice to manage your equity. Eric Jackson, founder and CEO of CapLinked, is also from Southern California. He’s probably one of the most entertaining individuals on this trip. 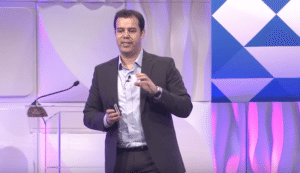 Being Paypal’s first head of US Marketing, he’s got a lot of stories to tell. 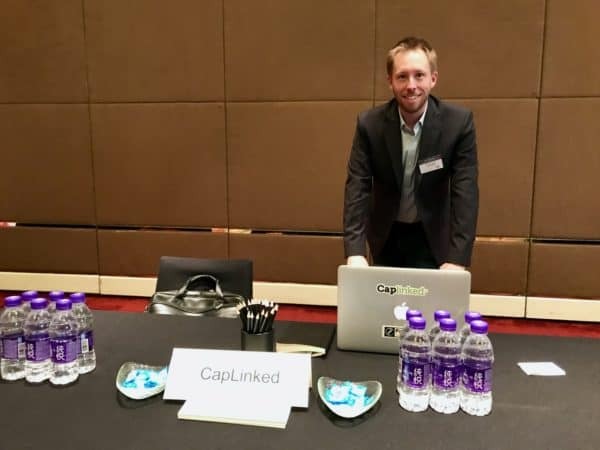 CapLinked, his new venture, is all about securely sharing information across multiple platforms. Heavily backed by Peter Thiel and Siemer Ventures, we will all be using CapLinked secured documents platform to close our deals. Oh, and he and I shared a wonderful duck soup dish in Beijing. It contained five parts of a duck. #AquiredTaste! If you don’t know Andrew Graham, please connect with him on LinkedIn pronto. Borrowell is owning the Canadian market in a big way. They just raised a $12 million round. Borrowell is helping Canadian’s to build credit starting with affordable loans. 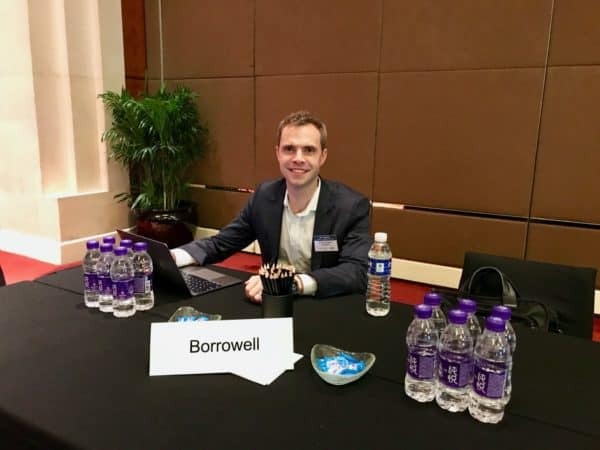 In a short amount of time, Borrowell has amassed over 300,000 borrowers and is looking to expand into other markets. 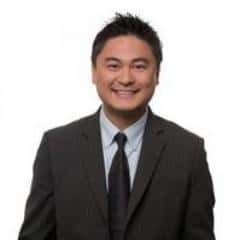 If you are looking for an innovative partner in in lending in Canada and across the globe (I am talking to you U.S. and China *cough *cough) get with Andrew Graham. ICOs or Initial Coin Offerings are the talk of the town at LangDi FinTech Conference. Omega One is at the forefront of this revolution. Alan Keegan (pictured here) and Jon West were a crowd favorite. This team raised a God awful amount of money on this trip. 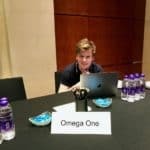 Omega One’s technology is developed in concert with ConsenSys, another platform that’s capitalizing on Blockchain technology. 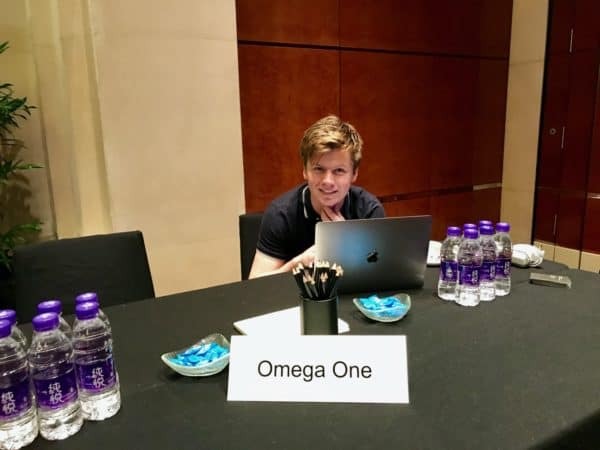 We will be hearing a lot more from Omega One. 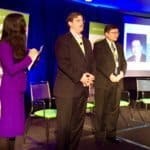 Alan and Jon were a great pair and presented to room full of enthusiasts and potential investors. 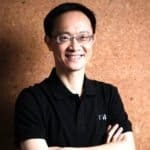 Dee Choubey (Founder, CEO) and Chee Mun Foong (CTO) are LangDi FinTech Conference veterans. Well established in the Fintech diaspora, these two wer super focused while on this trip. Every bit of “free time” was spent on working, emails and conference calls. You couldn’t pry them off of their Tablets and Surfaces. They made the rest of us look like a bunch of derelicts. All joking aside, I spent a lot of time with these two guys last year and this time around. Their vision is incredible and their dedication to changing online finance for everyone has never wavered. 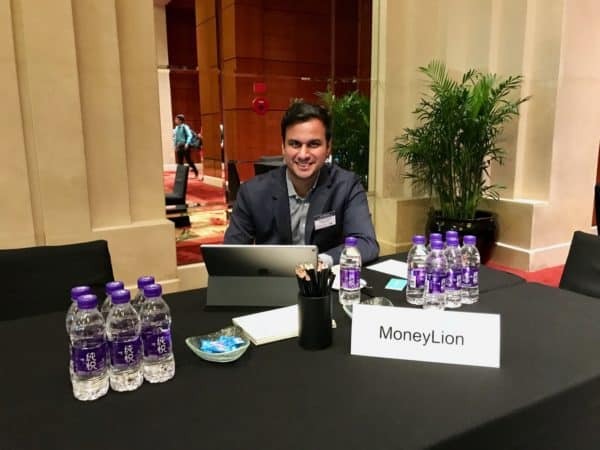 MoneyLion is going to be a breakout star in 2017. Keep an eye on these guys. Move over Cash Bus, Cash Train is coming to pick you up for a fast ride! 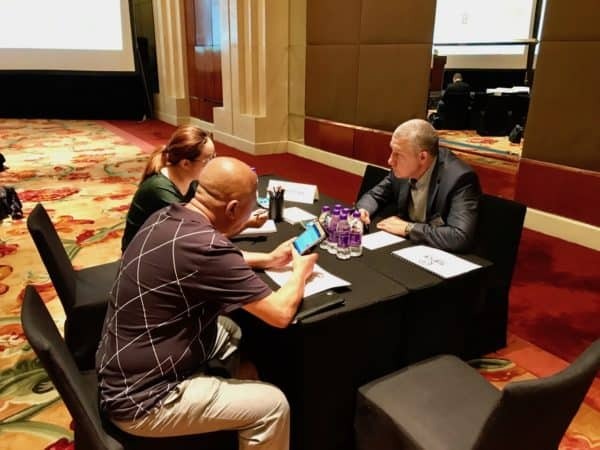 Founder Konstantin Kozhevnikov already has a successful online finance company Smarter Finance in south east Asia. His next target is China. This guy is a deal making machine. He pitches Cash Train at every turn and is laying down some solid tracks with Chinese investors. 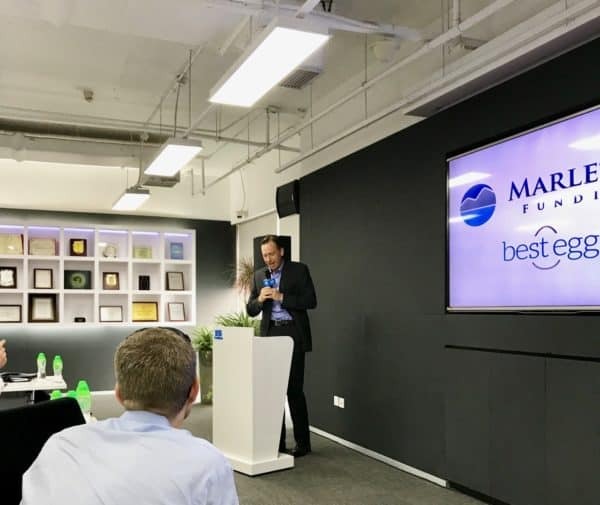 Konstantin’s determination to anchor his new company in China is unparalleled. If you are looking to invest in an already successful entrepreneur, make sure you give Konstantin a call. He won’t leave you behind in the station. Look at him. He’s making his next deal right now! I wrote about Jeremey and his new venture Dv01 in my last journal entry. He’s been around our industry from the very beginning and knows just about every decision maker in our space. He’s always got the greatest attitude and treats everyone with respect. I have a lot of respect for the man who is on the road all the time. 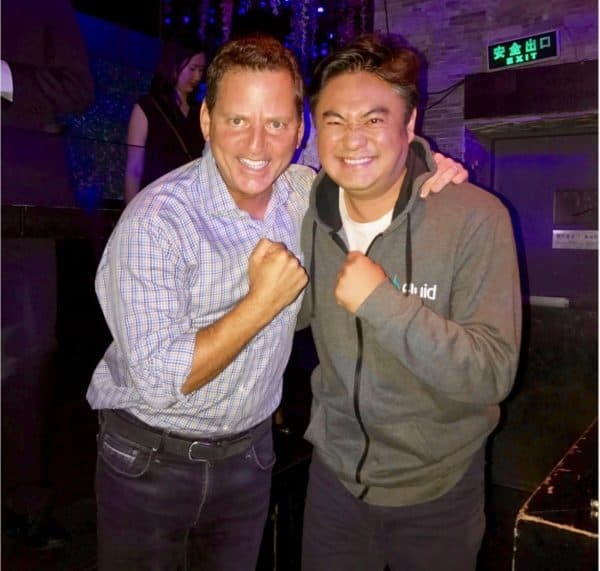 I think he might be in Singapore hanging out with Ron Suber. Catch him if you can, but he’s probably super busy helping Chinese investors understand our asset classes. 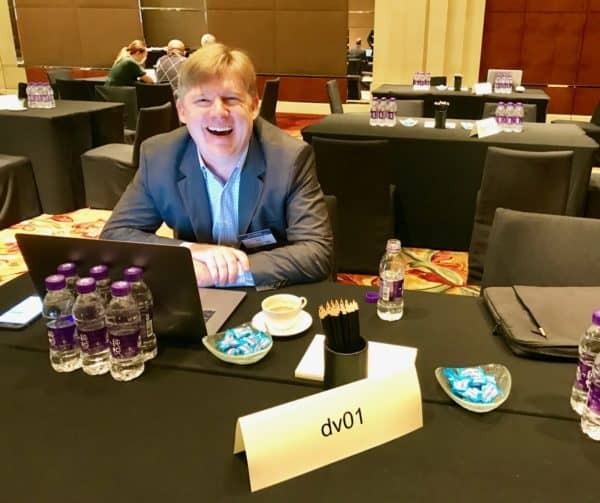 I got to know Michael McLaughlin in Beijing. We had a group dinner at a revolutionary themed restaurant aptly named “1949”. Michael happily talked about his kids the whole night. The pride and joy of a father shone through perfectly in-between sports trivia and comparative analysis of legendary team coaches. You would never know that Michael runs the entire US operations for Macquarie Group, one of the biggest global investment banking firms that’s publicly traded in Australia (ASX:MQG). 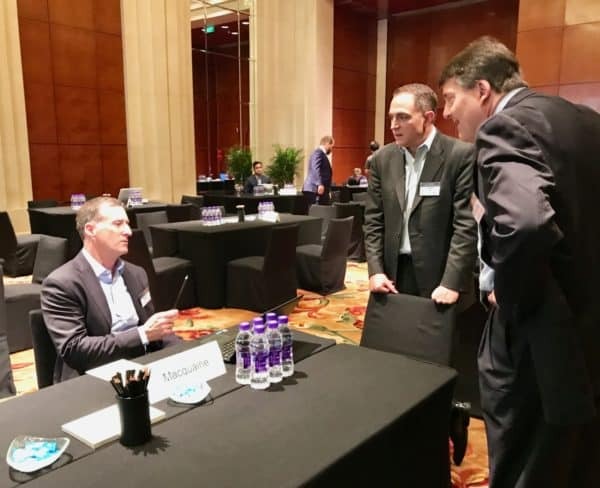 Michael is chatting it up with Bo Brustkern, Chairman of LangDi FinTech Conference and Gary Simanson, Managing Director at First Capital Group, LLC. 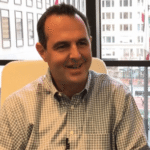 Jack Quigley, Founder and CEO of CrowdFundUp. He’s probably the hardest working man in Fintech. He’s constantly making deals and connecting dots. He’s 100% committed to China and recently moved to Shanghai and I think he’s not leaving until he brings home the trophy. I visited his office in Shanghai, overlooking a bustling city. 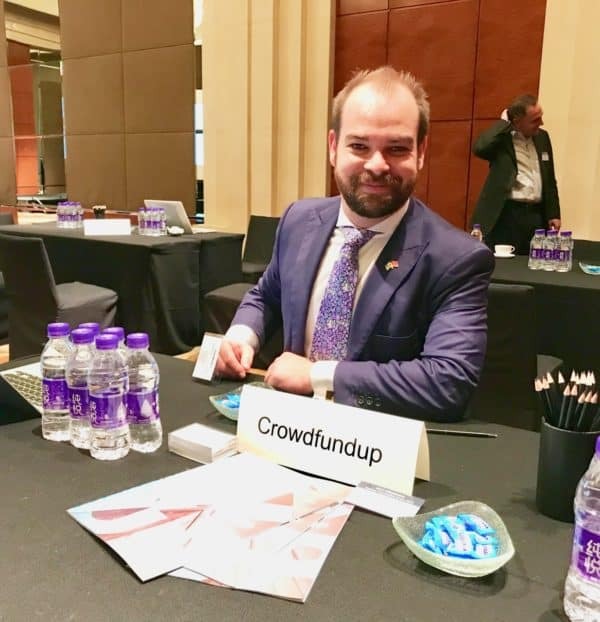 CrowdFundUp will be China’s gateway into commercial real estate in Australia. Jack and I rode our MoBikes in front of the Tiananmen Square. Something I will never forget. Here is to Jack. He’s getting married in a few months! What a lucky dude. See you soon! See you next time! Here are a few pictures when we aren’t busy pitching! 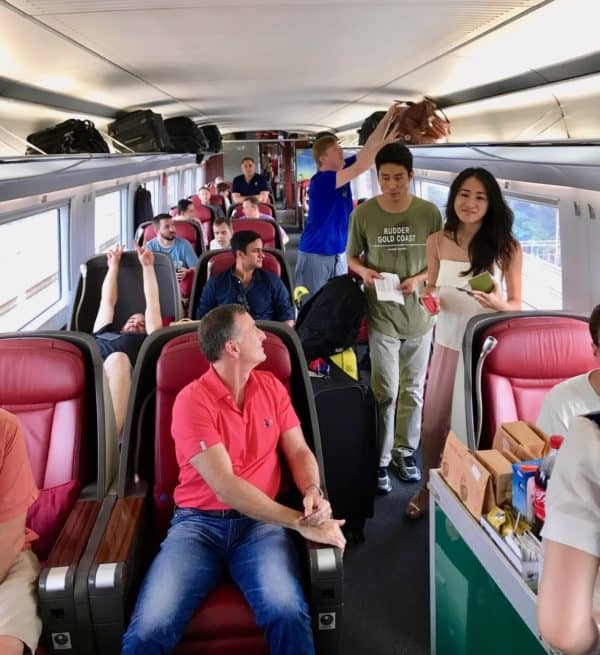 Bullet Train from Beijing to Shanghai – Traveling over 200 mph. 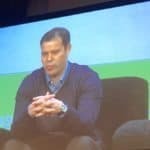 Ron Suber and Timothy Li – barely holding onto our jobs… oh wait. 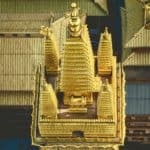 This entry was posted in Asia, Featured Headlines, Fintech, Global, Opinion and tagged 9f bank, alan keegan, andrew graham, bo brustkern, borrowell, caplinked, cash train, chee mung foong, china, crowdfundup, darwin ling, dee choubey, dianrong, dv01, eric jackson, galaxy internet, good ai capital, gopher asset management, huaxia finance, jack quigley, john west, konstantin kozhevnikov, lang di fintech, lendit, michael mcLaughlin, mint quantum, moneylion, noah holding, omega one, renaud laplanche, ric capital, soul htite, timothy li, upgrade. Bookmark the permalink.